There are so many reasons to remodel your kitchen. You just bought a house and you hate what's there now. Perhaps you finally saved up some money and can afford the change. Or, you plan to sell the home in a couple of years and think new cabinets will appeal to buyers. All good reasons, but do you want to know the most common thing that pushed people to finally take the plunge and redo their kitchens? #1 Reason: Because homeowners just can't stand their current one anymore. It's not just a rational decision apparently, or a well-executed strategy to upgrade. Day after day, for years perhaps, owners walk into a space and shudder at what they see, or are frustrated by the current layout. Eventually they just break down and give in to the want for something different. 43% of renovations in Houzz's Kitchen Trend study were attributed to this decidedly human motivation. In 2014-2015, that number was only 29%. Compare that to recent home buyers, who move in and want to renovate right away— either they can't live with the previous owner's taste, or everything is dreadfully outdated. 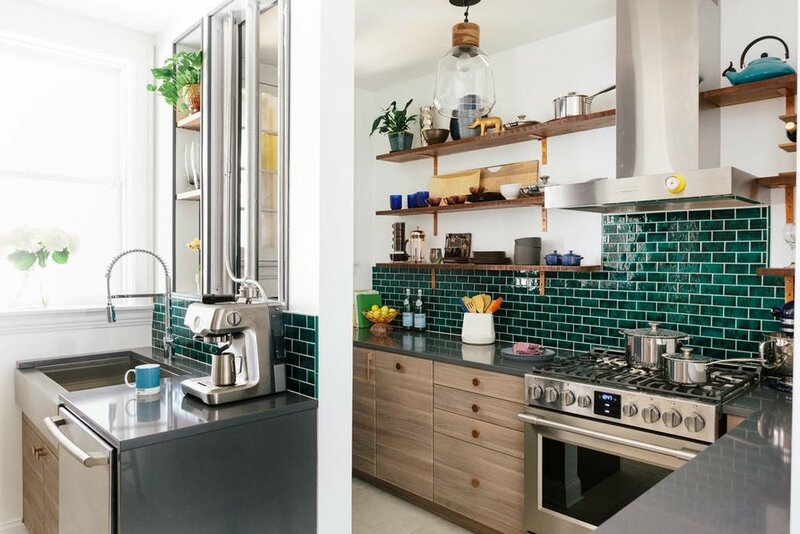 Only a little over one quarter of kitchen renovations came about because new owners wanted to make the space more their own (28% each year for the past three years). In fact, only 24% of projects happen when the kitchen is functionally broken down and busted: maybe appliances aren't working, cabinets are off their hinges, and the countertop is falling apart. It appears we don't drive our kitchens into the ground, so to speak, where they are beyond repair or unsafe. Fewer people cited a change in family or lifestyle that would warrant a new kitchen (10%) or needing to upgrade in order to put their home on the market (8%). The good news: 40% of kitchen projects came after homeowners had finally saved the money. Yes, they hated their kitchens too, and wanted to make the change, but waited instead until they had the funds for the project. We'll just have to hope that all the others aren't assuming a bunch of credit card debt to cover their remodeling expenses. 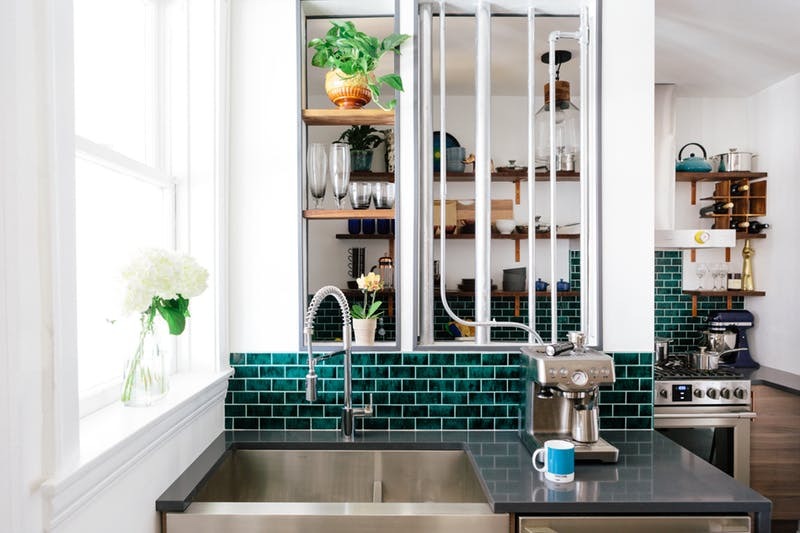 For more info, check out the 2017 Houzz Kitchen Trend Study. Does this ring true for you and your motivation to renovate? Nothing turns a happy chef into a frazzled one like rifling through drawers or disassembling the kitchen to dig out the necessary tools. Don't let this be you at Thanksgiving. For a smoothly running kitchen — and, more importantly, a smiling cook — eliminate everything that doesn't need to be in your kitchen before the big day. Empty glass jars you're keeping "just in case"
These kitchen items don't need to occupy valuable real estate in prime locations of your kitchen. Things that you use only a couple times a year should be stored in the hard-to-reach spots or, if you have the space, elsewhere in the house, like a cabinet in the garage. Bonus: If you dig up and move these things out of the way now, you'll know exactly where they are when you need them on the big day. Putting the time in now to get behind-the-scenes ready will not only pay off on the biggest cooking day of the season, but will also give you an efficient kitchen all year round.